First published 1997, reprinted with corrections 2006. 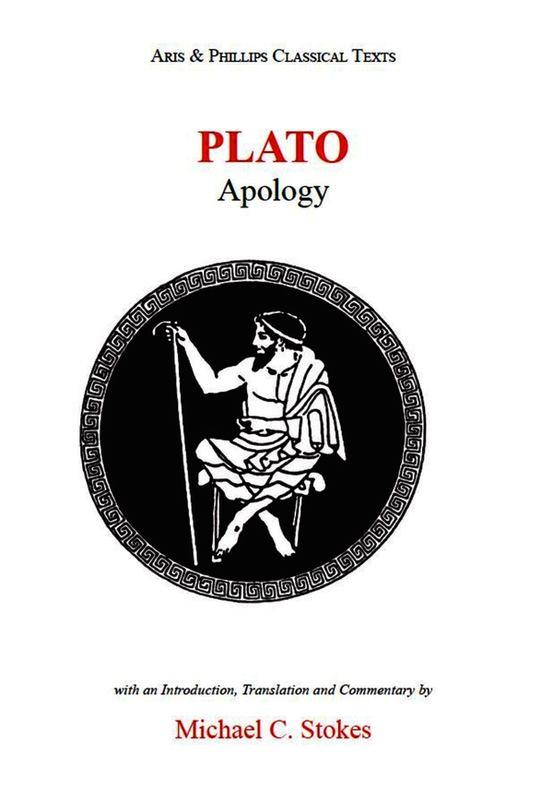 Edition of Plato’s Apology of Socrates. Greek text, with facing translation, introduction and commentary. †Michael Stokes was Emeritus Professor of Greek at the University of Durham, where he held the Chair of Greek from 1974 to 1993. He was formerly Lecturer in Greek at the University of Edinburgh and Associate Professor of Classics at Cornell University. His publications include Dialectic in Action: an Examination of Plato's Crito (Classical Press of Wales, 2005), One and Many in Presocratic Philosophy (Center for Hellenic Studies, 1971) and Plato’s Socratic Conversations (Athlone Press & Johns Hopkins University Press, 1986). †Michael Stokes was Emeritus Professor of Greek at the University of Durham, where he held the Chair of Greek from 1974 to 1993. He was formerly Lecturer in Greek at the University of Edinburgh and Associate Professor of Classics at Cornell University. His publications include ‘Dialectic in Action: an Examination of Plato's Crito’ (Classical Press of Wales, 2005), ‘One and Many in Presocratic Philosophy’ (Center for Hellenic Studies, 1971) and ‘Plato’s Socratic Conversations’ (Athlone Press & Johns Hopkins University Press, 1986).